xii, 202p with diagrams and index, frontispiece game puzzle diagram. Small octavo (7 3/8" x 5 1/4") issued in reddish brown cloth with gilt lettering to spine and blind stamped covers. 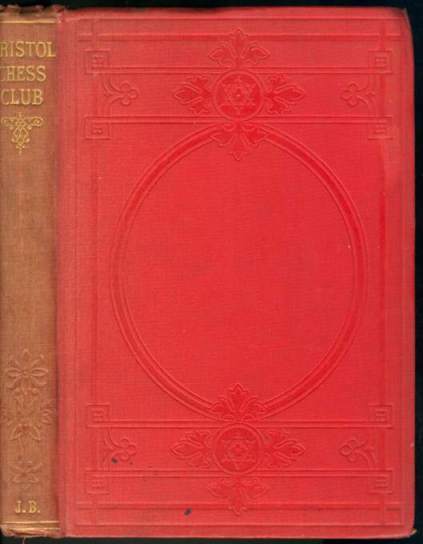 (Betts: 6-9) First edition. 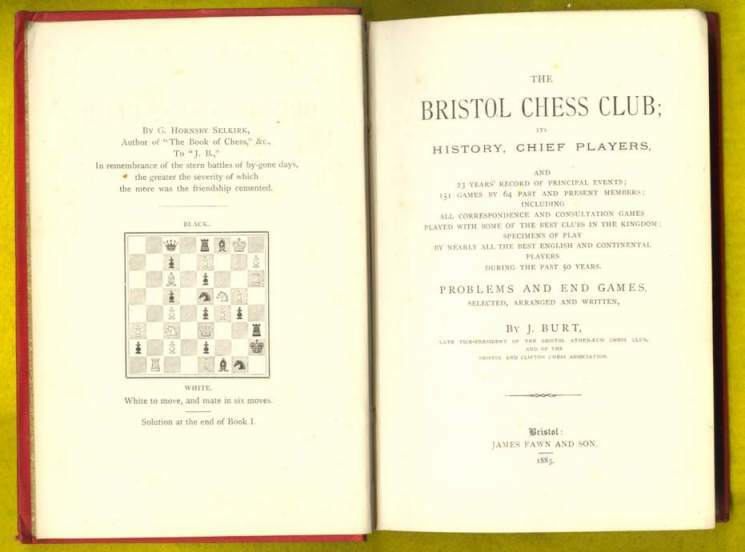 History of the club pages 1-27, the games, including a selection by visiting masters: Andersen, Staunton, Lowenthal, Kieseritsky and others, have occasional notes appended; 12 problems; indexes of openings and players. Points and spine ends rubbed, some foxing, spine sunned and dulled else about a very good copy of an exceedingly scarce item.